Texas Hold'em is the most popular game at all of the poker sites that you will find on the internet. Texas Hold'em Poker is a game where players each have two concealed cards and all players share five common cards, making their best five card poker hand from the combination of their hole cards and the community cards. There are two ways to win, as in all poker games. You either must have the best called hand on the last round of betting or you must convince other players to concede to your bet and fold. This may look like a long guide to read to learn how to play, but the rules of Texas Hold'em are surprisingly simple. In fact, you can be up and playing at the tables in just a few minutes. However, mastery of Texas Hold'em Poker takes a lot longer. 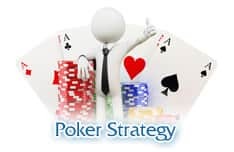 Like every great game Hold'em is simple to learn, but it has very deep strategies that will keep you coming back to the tables for a long time to come. Each player is dealt two cards, one at a time, face down. These are known as "hole cards," "down cards," or "pocket cards". There is an initial betting round. Three common cards are then dealt in the middle of the table face-up. These are known collectively as "the flop." This is followed by the second round of betting. A fourth common card is then dealt face up. This is known as "the turn." This is followed by a third round of betting. A fifth and final community up card is dealt. This is known as "the river." A fifth and final betting round follows. Each player determines his five card poker hand by making the best combination of the five common cards, known as "the board," and his two individual cards. He may use both of his hole cards, one card only, or none of his hole cards. Here are some sample hands. Can you figure out what each player's best poker hand is and who has the best hand? Test yourself first, then look below to see how you did. Notice that the very best hand started out as just two sixes in Jono's hand but became four 6s by the end of the deal for the best hand. There's also a full house, held by Mona who uses her two Queens with the Queen and two sixes on the board to make Queens full. This is the highest full house that is possible. There is no flush. A player in this hand would have to have two diamonds to make a flush -- combining them with the three diamonds on the board. If there had been four diamonds on the board then Mary, with her one Jack of diamonds, would have had a flush. Look at Horace and Erin's hands. They each have two pair, Aces and 6s. But Erin's hand is better since hers is Aces and 6s with a King kicker and Horace's is Aces and 6s with a Queen kicker. This happens a lot in Hold'em. The fifth card often separates a winner from a loser. Notice finally that the worst two hands don't use their two hole cards at all. Their best hand consists of just the five cards on the board. They cannot improve it by using their hands. So they would "play the board" as it is known in this game. If the board is the best hand anyone can make then all players still in the hand tie and split the pot. There are many different forms of Poker Texas Hold'em. They divide into three broad categories of betting structure: limit, pot limit, and no limit. I'll describe the two most common: limit and no limit. Let me begin with some elements and definitions that are common to all forms of the game. There are four rounds of betting in Hold'em. They are known as "pre-flop," "flop," "turn," and "river" respectively. Pre-flop: the round of betting when each player has two hole cards only. Flop: the round of betting when each player has two hole cards and there are three exposed common cards. Turn: the round of betting when each player has two hole cards and there are four exposed common cards. River: the final round of betting when each player has two hole cards and there are four exposed common cards. The betting begins in all forms of Hold'em with what are known as "blinds" or "blind bets". A blind bet is a bet that must be made without a player knowing his hole cards -- when he is blind so to speak. Typically, in the modern form of Hold'em, there are two blind bets, known respectively as the "small blind" and the "large blind" (or "big blind"). The large blind is usually double the small blind. The small blind is made, or "posted" as it is called in Hold'em, by the player sitting to the immediate left of the dealer. The large blind is posted by the player to the left of the small blind -- two to the left of the dealer. The "dealer," in a casino, where there is a non-playing employee who deals every game, is designated by a plastic or wooden disc called "the button" that circulates clockwise around the table after each hand. This is done to make sure that each player takes his turn at being the small and large blind. Otherwise, the poor guy who sat to the immediate left of the house employee dealing the cards would have to post a bet without looking on every hand -- which would be a terrible disadvantage. Blind bets act just as any other bet in a poker game. Each player, in turn, starting to the left of the large blind, have a choice of making one of three betting actions. They may call, fold or raise. They may call the bet by placing in the pot an amount equal to the large blind. They may fold, declining to call the bet, and ending their play of the hand, no longer competing for the money in the pot. Or they may raise, increasing the bet for all subsequent players -- usually by an amount of no less than the large blind. Please note that if no player raises the large blind, he may raise his own blind bet. He has what is known as "last action" pre flop. It is an exception to the general rule that a player cannot raise himself. So, for example, if we were playing a five person game of Poker Texas Hold'em with a $1 small blind and a $2 large blind, the action might go like this (imagine these players from top to bottom are sitting clockwise around the table). Once all players have either called the last bet or raise, or folded and ended their play of the hand, the betting round ends and the next round of dealing, the flop, takes place. There are no blinds on this or any subsequent rounds of betting. The first player to the left of the dealer has the option of initiating the betting or checking. A "check" means that the bettor with the first betting option passes that option to the next player, who then has the same two options of either betting or checking. Once a bet has been made, however, there is no more option to check. A player must either call the bet, fold, or raise. Just as in the pre-flop round of betting, the betting option proceeds clockwise around the table. 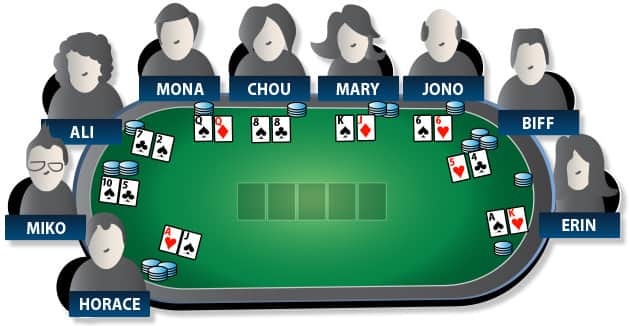 Once all remaining players have called the last bet, raised, or folded and ended their play of the hand, the betting round ends and the next round of dealing, the turn, takes place. The next round also follows if all players check. Betting after the turn is the same as betting on the flop. The option to bet begins with the player to the immediate left of the dealer and proceeds clockwise around the table, ending when all bets are equalized or all players check. If a player bets or raises and then all remaining players fold, the player who initiated the last bet or raise wins and is awarded the pot. Betting on the river is the same as betting on the flop and on the turn. The only difference is that when betting ends, either with everyone checking or all bets and raises being called, the players remaining in the hand expose their hole cards and the pot is awarded to the highest hand. Players must show both of their hole cards to be awarded the hand. Should a player make a bet or a raise that is not called by any other player (all remaining player folding when it becomes their turn to act), then the player making the uncalled bet or raise is the winner of the hand and is awarded the pot. 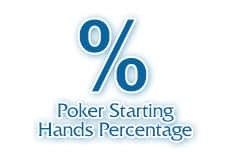 In limit Hold'em, the betting amounts are pre-determined and limited to a fixed sum. So, for example, a game could be played with a $2.00 limit. This would mean that all bets (with the exception of the small blind) would have to be $2.00. The small blind would be $1; the large blind would be $2.00. Thereafter, if players wanted to bet or raise it would have to be by $2.00, and $2.00 only. No one could bet $1.00, or $1.75. And no one could ever bet $4. They could raise a $2.00 bet by $2.00 making it $4.00 to call, but they could not initiate the betting at $4.00 or raise by $4.00. Limit poker usually has a lower limit for the first two rounds of betting and a higher limit for the latter two rounds of betting. Hence, a game would be called "$2.00 and $4.00 limit Hold'em" or "$2/4 limit" for short. Accordingly, the pre-flop and flop bets would be $2.00 but the turn and river bets would be $4.00. There used to be games where each of the four betting rounds had different betting limits. And there used to be what were called "spread limit" games where players had the option of betting up to a certain amount, from $1-5 for example -- but those games are rarely played any longer). Limit Hold'em is generally played "table stakes." This means that no player is required nor is allowed to bet more than the amount he had sitting in front of him "on the table" so to speak, when his hand began. I'll explain how this affects the betting in more detail under no limit because it comes into play more frequently in that form of Hold'em. Casinos require that players buy-in for a minimum amount, usually equal to ten times the minimum bet in the lower limit games and ten times the maximum bet in higher limit games. No limit Hold'em is played exactly like limit Hold'em except for the maximum and minimum bets and raises that may be made by each player. No limit has blinds, just as limit does. The deal and ranking of poker hands is exactly the same as well. But there is no predetermined betting amount that must be bet, as there is in limit. There is no maximum bet or limit. However, since games are played "table stakes," as they are in limit poker, bets are limited, practically, by the size of the stack of chips a player has in front of him when the hand he is playing commences. They may not go into their wallets for more money while the hand is in play. So, for example, if when the play of the hand begins I have $150.00 in chips in front of me, I may bet all of it at once but I may not bet more than that amount. Similarly, if someone bets more than I have in front of me, I may call the bet for my entire stack -- going "all-in" as it is known in poker lingo. I may call that portion of the bet for which I have chips. So, for example, if I start a hand with $300 and an opponent bets $500, I may call for $300. If I win I will win $300 of his $500 bet. The remaining $200 that he bet goes into side pot with any other players who have the money to call this additional amount. This is best explained with an example. This is the last round of betting. There is $50 already in the pot from previous betting rounds. Portia raised Roger's bet of $20 to $100. But Zongo only has $50. He calls the $50. Kreena calls the full $100. Everyone else folds. The dealer then makes two pots, the main pot, with the $50 from the previous betting rounds, the $20 from Roger (who folded when his bet was raised), and $50 each from Portia, Zongo, and Kreena. A side pot is made of the $50 remaining from Portia's raise and $50 remaining from Kreena's call. The main pot is $220 (50 + 20 + 50 + 50 + 50). The side pot is $100. The side pot is awarded first, to the better hand between Portia and Kreena. After that is decided then the main pot is awarded to the best hand among all three remaining players: Portia, Zongo, and Kreena. As you can see, there is a limit in no limit Hold'em. It is the stack size of the players. Your betting limit is not pre-determined, but there is one. It is either the size of your stack or your opponent's stack. There is also a minimum bet and a minimum raise in no limit. These are two concepts that you don't have in limit Hold'em since the amounts bet are completely defined. But in no limit they are variable, and so there are minimums. The minimum bet on each round of betting is the amount of the large blind. So, for example, if you are playing a $1/2 blind no limit game you may not initiate the betting on any round for less than $2.00. The minimum raise is the amount of the last amount bet or raised during that round of betting. So, for example, if the game is a $1/2 blind game and the player to the left of the big blind raises to $10 and a player to his left wants to raise he must raise by no less than $8.00, since the big blind was raised by $8.00 to make it $10.00. On subsequent betting round this rule continues. The minimum bet remains at $2.00. So, in the same game as described above, let's say that two players remain. If the first player wishes to bet it must be at least $2.00, even though on the last betting round someone raised $8.00. If he does bet $2.00 and the next player raises him to $50, let's say, if the first bettor wants to re-raise he must re-raise by at least $48. The only exception to these minimums occurs when the player who wishes to bet or raise does not have enough left in his stack to make the minimum bet or raise. If that is the case he may be bet all that he does have, going "all-in." Let's look at a typical game and see how this would work. Assume this is a $1/2 blind game. In the above example, Marika raised the $2 large blind to $20 -- an $18 raise. In limit poker she would only have been able to raise to $4.00 for a $2 raise. And then, on the next round of betting, Marika bets $40. She had to bet at least $2.00 but could bet as much as she had in front of her. Jill, with just $56, decides not only to call the $40 but to raise. The minimum raise would normally be $40 -- since this was the size of the bet. But since she only had $16 more, she is allowed to go all in for her remaining $16 in chips. With all other players folding, Marika and Jill will see the turn and the river without any more betting, since Jill has no more chips. Most casinos limit the buy-in -- the initial stack size -- for each player, establishing a minimum and a maximum, especially for those games with relatively small blinds. Typically, these limits on stack size correspond to the size of the blind. So, for example, you might see "no limit games" with the following blinds and buy-in limits. Now that you understand how to play Texas Hold'em, you might still have questions about matters that don't pertain directly to the rules and mechanics. To that end, we've assembled answers to the questions most frequently asked by players new to the game. After all, the more you know, the stronger and more confident a player you can become! Is Texas Hold'em easy to learn? The basics are quite simple. 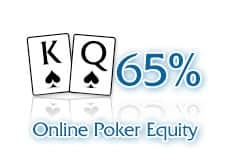 If you've played any poker at all, you're already familiar with hand ranks and standard betting options like bet, check, call, fold, and raise. From there it's simply a matter of remembering the two forced betting rounds (small blind, big blind) and four unforced betting rounds (pre-flop, the flop, the turn, and the river). Beyond the basics, it's a matter of how scientific you want to be by learning how to count outs, and from there calculating card odds and pot odds. These indicators help you decide which betting options to exercise on each street. Can I practice online for free? Absolutely. Top sites offer free play options where you can gain experience and improve your skills for free. How does Poker Texas Hold'em differ from other poker variations? Is Texas Hold'em easier than other variations? Once you understand the betting round structure, Texas Hold'em is as straightforward as other high hand wins variations. What makes Texas Hold'em so popular? Poker Texas Hold'em has an attractive betting round structure with catchy, colorful street names. Beyond that, the combination of televised poker tournaments featuring hole cards cameras and the viral nature of Internet word-of-mouth rocketed Texas Hold'em to prominence. Is there a limit to the number of players in Texas Hold'em? It depends on how many burn cards there are in the deal. There are usually three, which including the five community cards leaves 44 cards for player hole cards. Since each player receives two cards, the theoretical limit per deck is 22 players. However, a comfortable full table is typically 10 to 12 players. Is there a minimum number of players needed? At least two players are needed, otherwise there's no possibility of winning someone else's chips! Does Texas Hold'em offer better winning opportunities? In general, winning opportunities in poker are proportional to the number of unforced betting rounds. Since Texas Hold'em has four streets, it has more winning opportunities than variants with less than four streets, and less winning opportunities than variants with more. How do I know whether to bet or fold? People have varying accuracies of "gut-feel". But the only way to get scientific about betting is to do the math. That means diligently counting outs, and calculating and comparing card odds and pot odds. Card odds indicate your chances of receiving an out card that makes your hand a winner. Pot odds indicate the value of the pot relative to how much you must bet to win it. When card odds are equal to or better than pot odds, it's reasonable to stay. Otherwise, it's more reasonable to fold. Scientific players will beat pure gut-feel players in the long run. 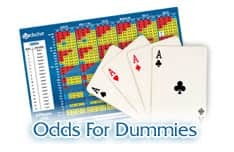 Poker Odds for Dummies and Poker Strategy are great guides to poker odds and Texas Hold'em strategy. Also, when playing online you can leverage counters and odds calculators so you don't have do the math manually. How likely is it that other players will bluff? The likelihood of other players bluffing depends on several factors. Gut-feel players could bluff at any time. But intelligent bluffing is based more upon being able to quickly and accurately rate your hand. Knowing your hand's strength is vital to knowing when to appear weak or when to bluff being strong. Appearing weak with a strong hand can entice other players into additional pot contributions. Bluffing strong can frighten them off when you're weak. What are my chances of becoming a professional poker player? If you consistently bring all that to the table, the sky is the limit. If playing against professional players - can I win? Absolutely. Apart from luck of the draw, all other aspects of the game are under your control. The more skillfully you can execute good strategy, the better your chances of winning. How do you calculate outs in poker? First start by deciding what hand you need to win the pot in your current game. Then consider which cards can help you complete that combination. If you're holding the 7h and 7d and you believe you can win with 3 of a kind, you have the 7s and 7c to complete your hand. This leaves you with 2 outs. The more outs you have, the better, and a lower number of outs means you have little chance of successfully getting the necessary card. What is the side pot in poker? The side pot is money between two or more players that goes above and beyond what one all-in player can afford. When one guy goes all in, the side pot is the money that the other players bet after matching the all-in player. The side pot can only be won by one of the players that continues betting after the all-in move. What hand beats what in poker? Knowing the hand ranking order is important in poker. The best hand you can in poker is a royal flush and nothing beats that! After that, you have a straight flush, four of a kind, a full house, a flush, a straight, three of a kind, two pair a pair, and then at the bottom of the list, a high card. How do I win at poker? To win at poker you need to have the best hand at the table currently, or you need to get the other players to fold their higher value hands. Winning consistently requires learning advanced poker strategies and being able to put them into place over the long-term for success. How many people do you need to play Texas Holdem? To play Texas Holdem successfully you need a minimum of two people. The game can be played with anywhere from two to ten people, but most casinos today keep games to a maximum of six or eight people for the best gameplay experience overall.